Oowf… That’s hit home. Caused ripples. Resonated beyond the usual suspects. Those ‘key stakeholders’ are now ‘all ears’. Your report is basically the research equivalent of ‘appointment to view’ television. At water coolers all across Capital Hill and throughout the corridors of power in Whitehall, they are all talking about your agenda. You’ve created: IMPACT. Or actually… did anyone notice? Will anyone remember? Once the dust settles and that newspaper coverage is fish and chip paper, will your ‘big idea’ just be confined to the dustbin of history? Perhaps the most often cited piece of research discussed in WonkComms circles has been the World Bank’s own analysis that a third of their own reports have never been read. It’s made many of us question the very purpose of the pdf itself. 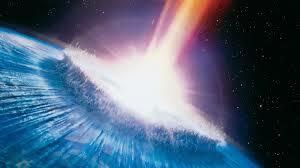 Many of our “what’s it all about” deliberations often conclude that it should all be about IMPACT. But what (and this wouldn’t be WonkComms if there were not two inter-related, yet mutually exclusive existential questions) is impact? And (wait for it) how do we create it? “I sometimes think lots of chat about ‘impact’ is borne from a deep place of insecurity about the fact that really, deep down, people think their work is ultimately a bit pointless,” says one UK think tank insider. This week, the Boston Consulting Group are launching their new Centre for Public Impact. The centre piece of the launch is a survey of 1,000 public officials from 25 countries across five continents. And although we wonder how officials in countries as diverse as China, Brazil, Russia, France and America can really contribute to the results of a single survey, we’re awarding them extra WonkComms brownie points for hosting a Google Hangout to discuss it. 92% of public officials worldwide think governments could do more to achieve impact for their citizens. 45% of public officials believe there is significant room for governments to improve the impact they have. Poor coordination was cited as the greatest challenge to governments, while a lack of funding, leadership and the need to balance political considerations were also highlighted as big obstacles. 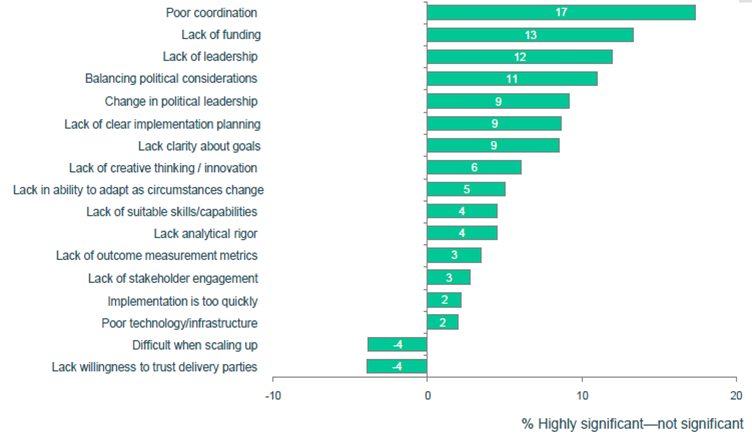 Perhaps most notable for Comms people working in Wonk-led environments, non-policy and junior staff were found to be even more negative than their policy and senior counterparts when it came to assessing the impact of government. When I worked in Whitehall, I used to remember “what gets done is what gets counted” being a pretty accurate description of what the cogs in the machine responded to. 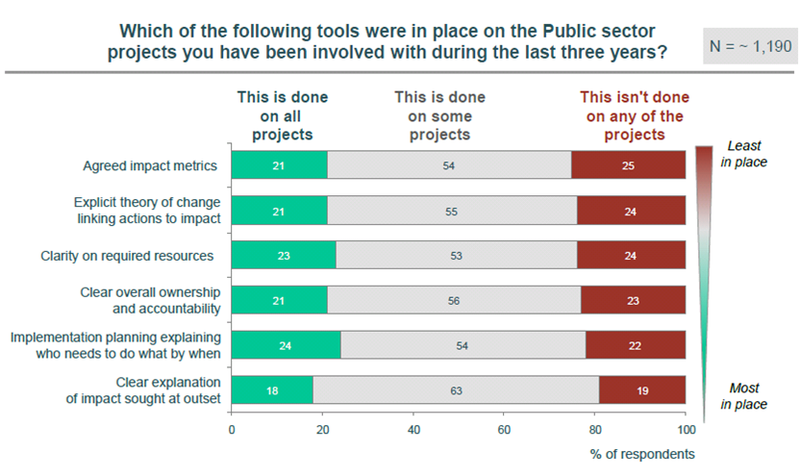 And the survey shows that only one in five public officials use agreed metrics to measure their impact and a quarter do not use any metrics on any of their projects. One of the rear-guard actions against the power of metrics, is the ‘Theories of Change’ movement. The Centre for Evaluation Innovation have recently published a guide to 10 theories to inform advocacy and change effects (not the snappiest of titles… might limit its impact… see what I did there?). Partly because WonkComms has so many international development people involved with it, we’ve frequently discussed both the hegemony of ‘Theory of Change’ and the heterodoxy of ‘ToCs’ on our sister blog, onthinktanks. While at the world’s biggest think tank away day in Istanbul last year, some of us even used the official hashtag to discuss whether an obsession with theories of change was just too… well, theoretical. Join us. And if you can’t make it, watch the live stream and tweet us. And if you can’t get online, catch up and give us your views. This sounds great – having ‘impact’ as part of my job title means this is something I think about a lot, so I’m looking forward to the event. The concept of ‘impact’ has received a lot of attention in the academic world over the last few years, because of the linking of government research funding to impact in the Research Excellence Framework. Every university in the country has had to put together case studies of impact. To do this, they’ve had to grapple with what impact means, and how you demonstrate it.